Jack Pierce Makes it POP! 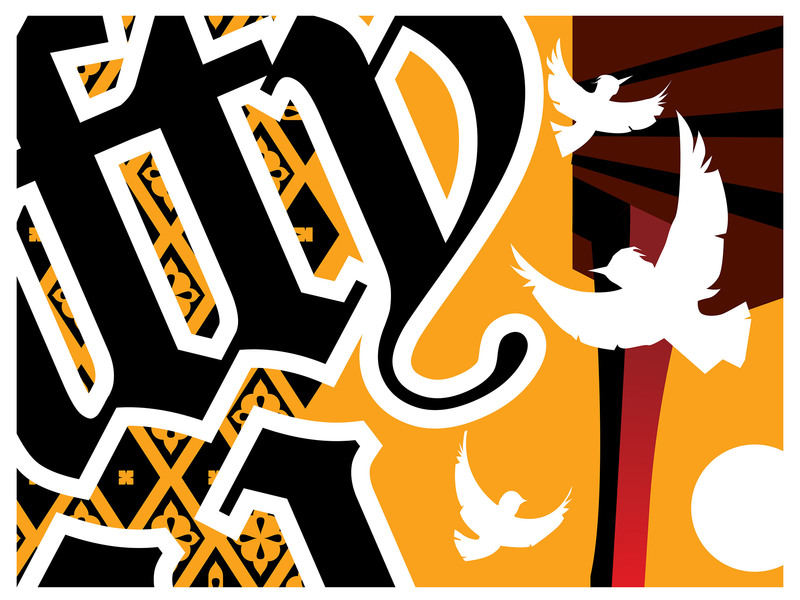 Jack Pierce is a graphic artist that combines dynamic pattern and imagery with bold text elements. 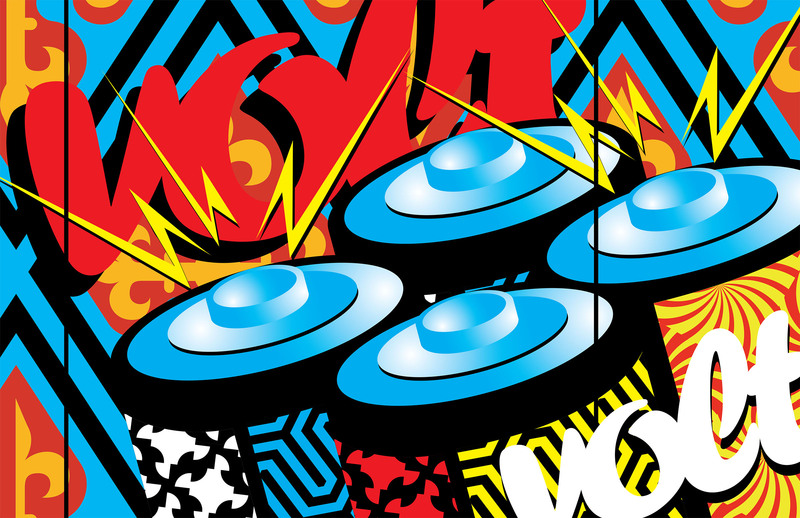 Currently, he is unveiling a new series entitled Maximum Pop, which captures the zeitgeist of Pop art while adding a fresh, contemporary twist through his use of digital media. 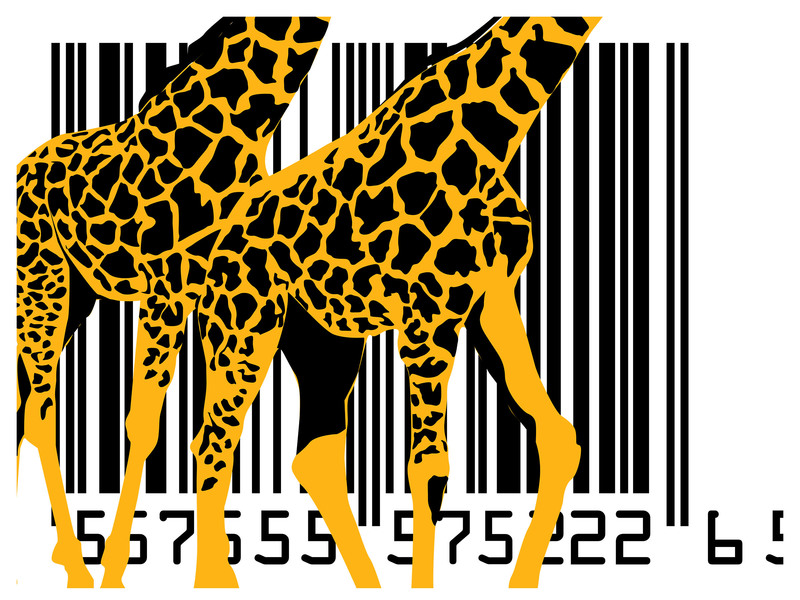 His designs are extremely engaging and bring together surprising subject matter; for example, in his recent design “Giraffes” the viewer is met by an exceptionally large barcode with giraffes marching in the foreground. The giraffes exceed the edges of the print, and since we do not see their heads they work as both patterns and figures. Originally, Pierce was a painter. He explains: “I still make paintings today. Painting is much more sensual than graphic design, it is a great balance. I love painting more, but I have been sketching some of these designs for quite a while and needed to make them real, to actually design them and get large prints made of them.” His painting background is apparent in his digital work, as he juggles composition and color in a very cohesive manner. Having studied visual psychology, Pierce knows how to excite his viewers. His designs are beyond smart color and composition choices. It is through developing a strong original concept and then rethinking, reworking, and redefining his ideas that he creates work that continuously delivers unexpected results. On April 18th you can see Jack Pierce’s new designs in person! On Saturday Night, April 18th, join us at LaunchPad Huntington from 6-10 PM for our special #artntech event – “ART BYTES”. Featuring: Visual Art, Animation, Illustration, Videography, live painting, and musical performances. Plus, enjoy delicious food courtesy of Massa’s Coal Fired Brick Oven Pizzeria, Tasty American Coo Coo, and Neraki Greek Mediterranean Grill Drinks courtesy of Greenport Harbor Brewing co. and Hint Water.